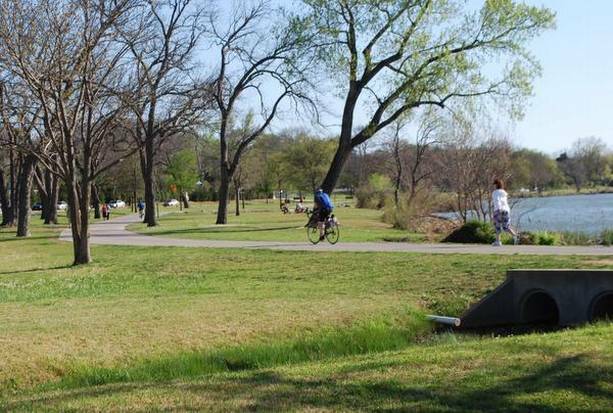 This wonderful tour of three Dallas historical neighborhoods makes for one of the nicest runs in the city. We start on Main St. in Deep Ellum, which is just across the highway from Main St. downtown. 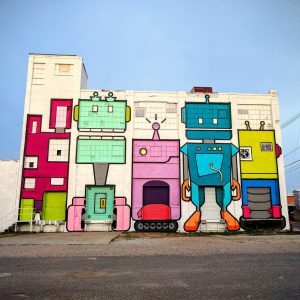 Deep Ellum is a lively entertainment district known for its vibrant street murals, quirky art galleries and long-time concert venues. Do a ~1 mile tour of Main St. & Elm St., and then make your way over to Swiss Ave. A National Historic District, this is a planned, upscale residential community dating back to the late 19th century. Run along this lovely, tree-lined street with its gracious homes well set back, and a grass median through the middle, for about 2 miles. At La Vista Place, turn around and return on Swiss Ave. for about 1/2 mile, to N. Munger Blvd. You’ll then enter the Munger Place Historic District, which dates back to 1905 and also features pretty older streets and homes. 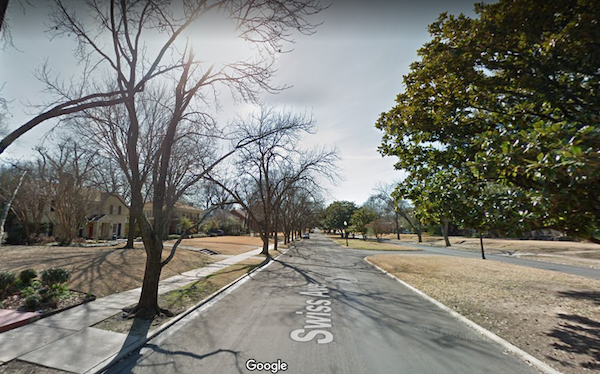 Run south along one of the side streets off N. Munger Blvd., through Buckner Park, and then back along Elm St. through Deep Ellum to the start. Add-Ons and Options: Start at the Deep Elum DART Station and run straight up Swiss Ave. and then return through the Munger Place neighborhood and Deep Ellum. Also, enjoy more of the streets in the Swiss Ave. & Munger neighborhoods by creating your own route. Main St. in Deep Ellum or DART Station on Swiss Ave.